AdelaideX course promotional videos are key tools which drive interest and enrolment in MOOCs and it’s exciting to see a course team take a creative and engaging approach to its video production. 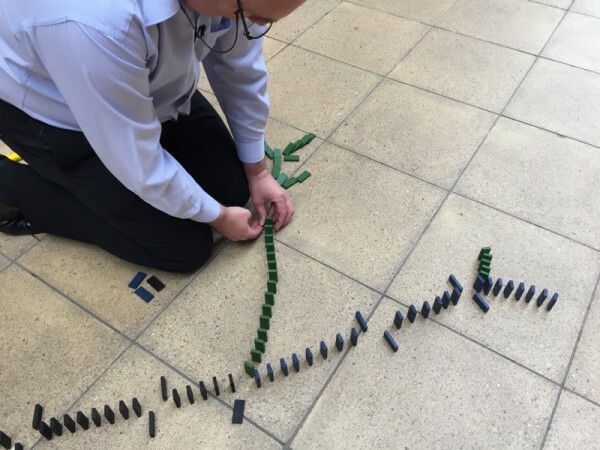 The Introduction to Data Structures course team used a number of tangible, understandable and simple analogies to communicate key messages about the course. One of these is that this course differs from other data courses in that it will be fun, visual and graphic. The promotional video reflects this and starts with course chair Nick Falkner stating ‘The world is messy…’ . The next frame has instructor Brad Alexander standing under a pile of falling socks. Everyone has to sort their socks at some stage and the message is ‘if you’ve sorted your socks, you’ve taken the first step to sorting data’. This example is universally understood and the result is a fun and entertaining video. The course will teach learners how to organise data for fast retrieval of information when they need it. 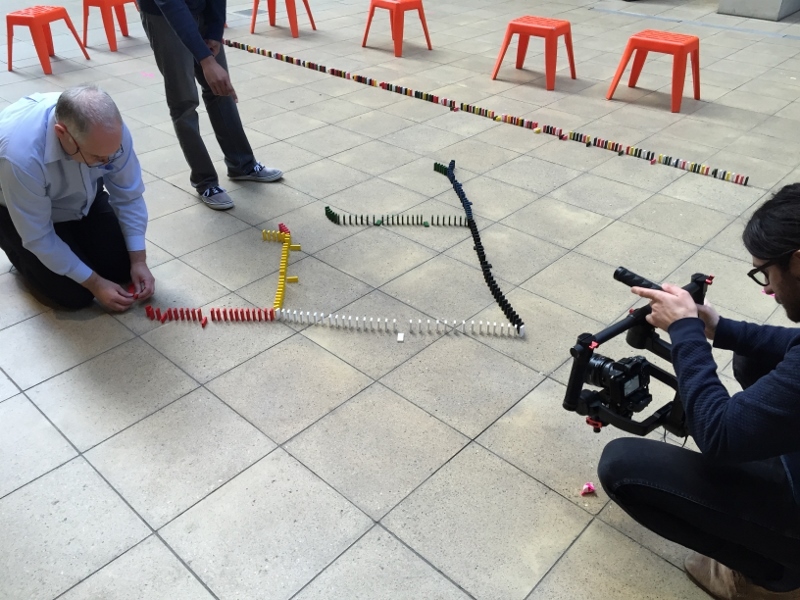 The team got creative once again and the video shows instructors Brad and Nick carefully positioning lines of dominoes with those organised in a tree formation falling faster than those in a straight line. 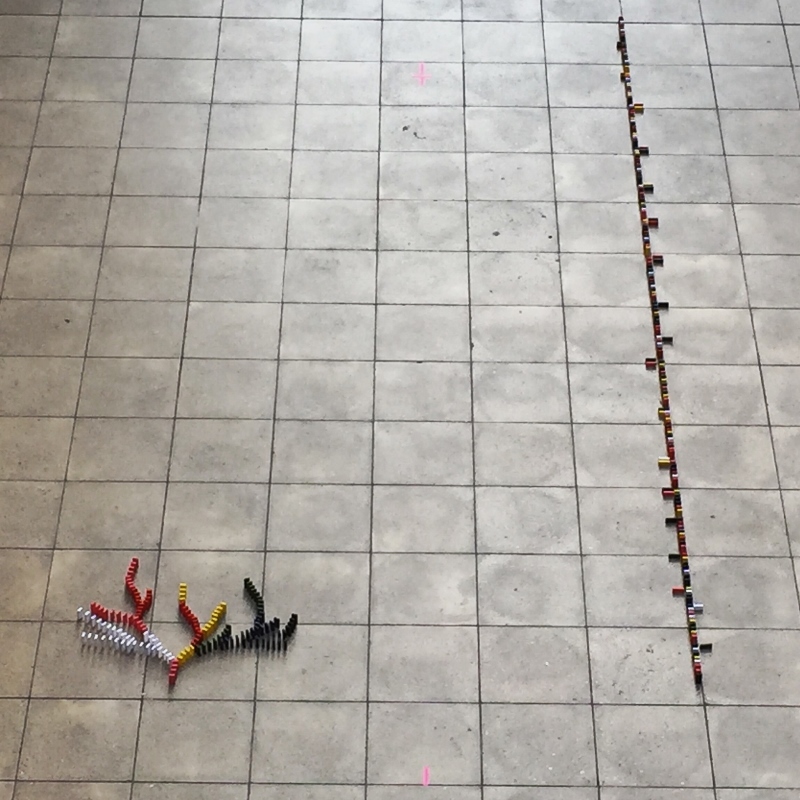 This colourful demonstration sets the tone for the course and shows learners that they can expect to learn, among other things, data management for quick and easy access to information. The creative execution of the video promises to carry through to other course interactives and activities which will encourage learner engagement and retention. Introduction to Data Structures starts on 18 January and the promotional video can be viewed on the course home page.